What If You Missed the December Obamacare Deadline? If you missed the Dec. 17 deadline to enroll in a health plan for 2016, there’s still time to avoid a tax penalty. 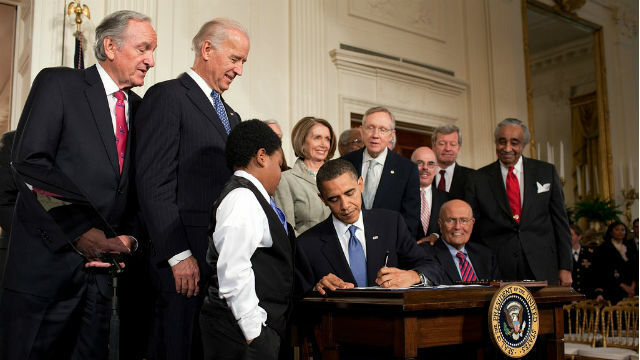 Under the Affordable Care Act, commonly known as Obamacare, almost everyone must have health insurance. If you choose not to be insured, there is a tax penalty. For 2016, the penalty is 2.5 percent of your income, with a minimum payment of $695 per adult and $347 per child when you file taxes in 2017. Even though you’re required to have insurance, the government permits a “short gap” in coverage and you will likely not owe any penalty if you enroll by Jan. 15 for coverage starting Feb. 1. Insurance through a job and privately purchased policies count, but not everyone has access to those, so Obamacare offers policies through state insurance marketplaces like Covered California. By Wednesday an estimated 8.5 Americans had signed up for health insurance through Covered California, other state marketplaces, and the HealthCare.gov website.